Welcome to the assembly portion of the site. 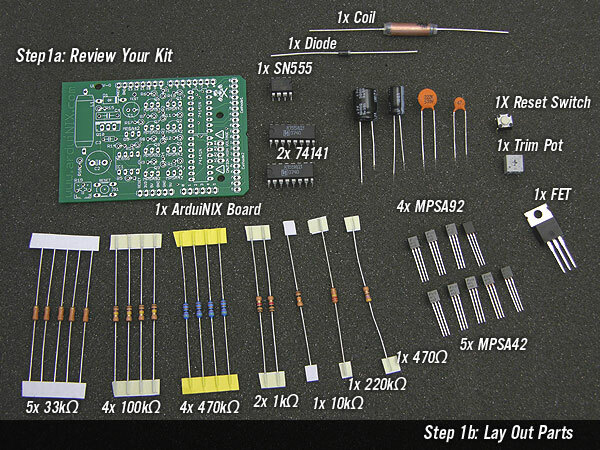 Here we will take you step by step through the build process of your ArduiNIX kit. First, make sure you have your parts all accounted for! Included in your kit should be the following parts. This is the most current, up to date parts list for the ArduiNIX as of January 2014.